Time to GET INTENTIONAL about Easter–telling our kids the story of Jesus and inviting them into the new life they can have through His death and resurrection. 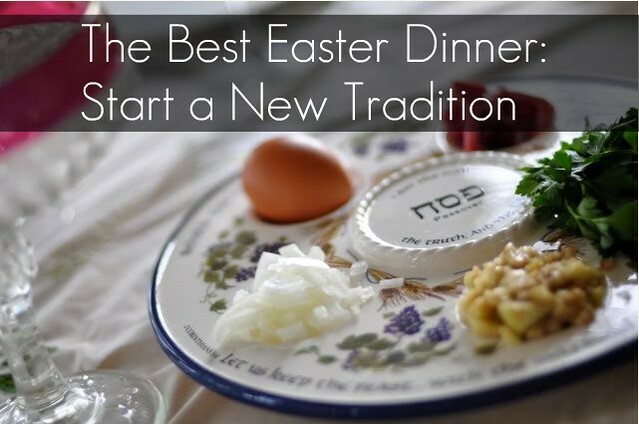 We have tried several things over the years, but there are some tried and true traditions that WE MUST DO because we love them so much (and my kids will not let me forget)! So, here is what my kids and I will be doing these next few weeks. 1. The Easter Project Devotionals! 2. Reading Benjamin’s Box and opening Resurrection Eggs. (This is actually something we keep on our dining room table, and open and read one during a meal). You can buy Resurrection eggs at any local Christian bookstore or online, or you can make your own! 3. Making a Resurrection Garden the week of Easter. The tomb is made out of a potato, and we usually pick a Lego mini figure to be Jesus. He goes in the tomb on Good Friday, and on Easter morning they find He is risen! Last year, we added grass seed on Friday, and by Sunday some new grass was poking through the soil (not pictured). All throughout the next week, it filled the garden with beautiful grass. I let the kids add some flowers to the garden on Easter morning too. 4. Washing each other’s feet and participating in a Christian Passover meal. This is my kiddos absolute favorite thing we do during the Easter season. It takes some time to prepare so we usually celebrate the weekend before Easter or last year we even did it after Easter. Ann Voskamp has a beautiful step by step guide that we follow. It is perfect for the whole family! Click here to learn more and get FREE printable script for meal! 5. Making an “unEaster” basket for my kids to open on Easter morning! My friend Heather does this with her four boys, and I love what an illustration it is to our kids of God’s forgiveness and grace. She calls it the “UnEaster” basket because the focus is not on the Easter bunny but on Jesus’ death, resurrection, and the blessings He gives each one of us as His children. Oh…and it’s not just for preschoolers! All ages of kids will love this! Click here to read more about this tradition! And in the midst of all this, we surround ourselves with music and books that tell the story and it keeps our eyes turned upward…meditating and filling our hearts with celebration. Friends, KNOW THIS. No matter what we get to do with our children these next few weeks, Jesus is ready to meet us. Whether we have a big chunk of time or little moments throughout our day–He is inviting us to receive His gift of grace and freedom that He died to give. So, let’s seize these opportunities to prepare our own hearts for celebration and lead our children to join us!